Harry Potter, a wonderfull character with magic,might and the more you see it, the more you believe the world of wizards exist. The way the people play their character, so professional, after already 6 movies, this 7th is one real great one with an open ending. 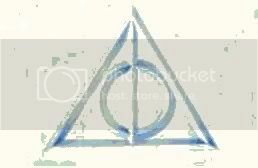 Wating for the 2011 version, i realy enjoyed the November 2010 Harry Potter movie. 146 minutes of intriges,drama and fun, great scenes, good dialogues, wonderfull acting and a mythic story with many symbolic-messages. Spiritually one of the best, maybe the best of the best, but certainly a perfect production. The books, about 7x300 pages ? moreover 1500 pages? about 3000 or more ? i never read one of them, but i really enjoyed the movies,.. The son of Harry Potter ? Barry Potter ? or the daughter ? Henriette Potter ? who knows what follows ? what will be will be ? keep up the good work and do what you can do ! More on IMDB or GOOGLE : HARRY POTTER & enjoy !